Background: Delivery of effective dental treatment to a child patient requires thorough knowledge to recognize dental fear and its management by the application of behavioral management techniques. 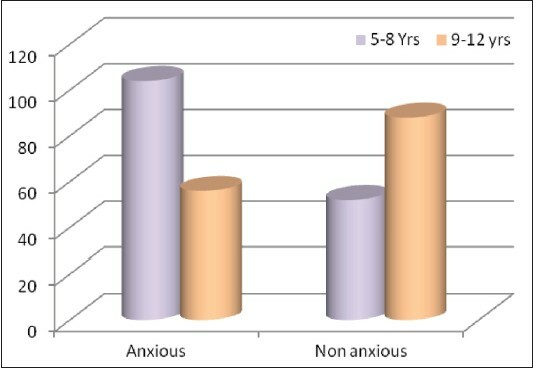 Children's Fear Survey Schedule - Dental Subscale (CFSS-DS) helps in identification of specific stimuli which provoke fear in children with regard to dental situation. Audiovisual modeling can be successfully used in pediatric dental practice. Aim: To assess the degree of fear provoked by various stimuli in the dental office and to evaluate the effect of audiovisual modeling on dental fear of children using CFSS-DS. Materials and Methods: Ninety children were divided equally into experimental (group I) and control (group II) groups and were assessed in two visits for their degree of fear and the effect of audiovisual modeling, with the help of CFSS-DS. Results: The most fear-provoking stimulus for children was injection and the least was to open the mouth and having somebody look at them. There was no statistically significant difference in the overall mean CFSS-DS scores between the two groups during the initial session (P > 0.05). However, in the final session, a statistically significant difference was observed in the overall mean fear scores between the groups (P < 0.01). Significant improvement was seen in group I, while no significant change was noted in case of group II. Conclusion: Audiovisual modeling resulted in a significant reduction of overall fear as well as specific fear in relation to most of the items. A significant reduction of fear toward dentists, doctors in general, injections, being looked at, the sight, sounds, and act of the dentist drilling, and having the nurse clean their teeth was observed. Objective: Objective was to evaluate the relationship between physio-chemical properties of saliva such as flow rate, buffering capacity, pH, Streptococcus mutans in saliva and its relationship with dental caries. Study design: Eighty children were evaluated for physio-chemical properties of saliva, out which 40 were caries-active (group 1) and 40 caries-free (control group). Caries status of each child was scored by using DMFS and dfs indices to get a combined DMFS and dfs score. 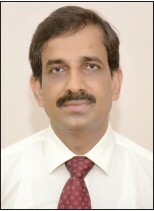 The physio-chemical properties were evaluated using Saliva Check (GC Asia Dental Pte Ltd- India) and streptococcus mutans using Dentocult SM Strip Mutans. Result: Flow rate, pH, and buffering capacity of saliva in caries-active children were decreased but not statistically significant. The Streptococcus mutant count of saliva was increased significantly in caries-active children. Conclusion: The physio-chemical properties of saliva like pH, buffering capacity, salivary flow rate, concentration of various components like proteins, calcium and antioxidant defense system play a major role in the development of caries. Hence, more clinical and laboratory studies are needed to determine the exact relationship between these physio-chemical properties of saliva and dental caries. Background: The child's perception of the dental environment is a significant factor causing dental anxiety. If the color of the dental environment can have a positive impact on the child's behavior, it is possible that those colors may add to the comfort of a child, thus reducing dental anxiety. Aim: To evaluate the association between color and emotions of children in a pediatric dental set-up. Design: A total of 300 children aged 6-12 years were divided into 2 groups: Younger children (6-9 years, n = 156) and older children (9-12 years, n = 144). All the children were asked to shade two cartoon faces representing happiness and fear with their most preferred color. Results: For the positive emotion, 44% (n = 132) of the children preferred yellow, followed by blue 32.67% (n = 98). For negative emotion, 56.67% (n = 170) of the children preferred black and 42.67% (n = 128) preferred red. Association between color and emotion was highly significant (P < 0.001). Conclusion: This study has attempted to advance the area of color research to dental anxiety in children visiting a dental clinic. The use of child friendly colors like yellow and blue in the dental work place could enhance a positive dental attitude in the child's mind. Background: To know the effect of surface protective agents used in day-to-day practice on the fluoride release property of conventional glass ionomer cements (GIC) and discuss its pros and cons. Materials and Methods: Thirty disc-shaped specimens were fabricated from conventional GIC and block randomized into three groups (Group I, II, and III) of 10 each. Group I specimens were unprotected, group II coated with cavity varnish (Namuvar, Ratnagiri, India) and group III with petroleum jelly (Vaseline, Hindustan lever ltd). After polymerization, the disks were immersed in three individual sealable plastic bottles containing deionized distilled water which was changed every 24 hours for 15 days to measure the fluoride release. Statistics and Results: Statistical analysis was carried using software version Systat 10.0, and the data was subjected to one way ANOVA, using Duncan Multiple Range test (Variable LSD) with the level of significance set at 0.05 (P < 0.05). The greatest amount of fluoride was released from the uncoated group, followed in ranking by petroleum jelly and varnish coated and the difference among them was statistically significant (P < 0.05). Conclusion: Application of varnish over GIC can severely impede its fluoride release property. Similarly petroleum jelly also impedes the fluoride release, but to a very less extent. We suggest that in situations where the fluoride release property is more important than other properties it is better to coat the GIC with petroleum jelly or leave the restoration without any coating. Aim: This in vitro study was designed to investigate the effects of daily fluoride exposures on fluoride release and recharge by prereacted glass ionomer (PRG) composite and nano-ionomeric glass ionomer. Materials and Methods: Seventy-two specimens (36 of each material) were prepared and by placing the restorative materials into Teflon mold. Each specimen was subjected to one of three daily treatments (n = 12): (1) No fluoride treatment (control); (2) application of a fluoride dentifrice (1,000 ppm) once daily; and (3) the same regimen as (2), plus immersion in a 0.05% sodium fluoride (NaF) mouth rinse (225 ppm) immediately following the dentifrice application. Specimens were suspended in a storage vial containing 10 ml demineralizing solution for 6 h and transferred to a new test tube containing 10 ml remineralizing solution for 18 h. Fluoride treatments of the specimens were completed every day prior to their immersion in the demineralizing solution. 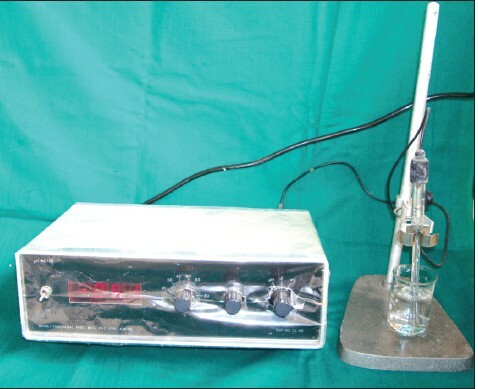 Media solutions were buffered with equal volumes of total ionic strength adjustment buffer (TISAB) II; fluoride levels were measured using a digital ion analyzer and fluoride electrode throughout the 21 day duration of the experiment. Results: Nano-ionomeric glass ionomer showed a better amount of fluoride release than PRG composite irrespective of the fluoride treatment supplementation (P < 0.01). Additional fluoride supplementation improved fluoride release and recharge ability for both the materials when compared to their respective control groups. The fluoride recharge for both materials did not show any sustained pattern of release. Conclusion: Nano-ionomeric glass ionomer demonstrated a greater ability to release and recharge compared with that of PRG composite. This research paper primarily focuses on the importance of use of xylitol among school children. Purpose: The purpose of this paper is to evaluate the salivary and dental plaque pH changes after consumption of sugared and sugar-free (xylitol) chewing gums in children. Materials and Methods: A total of 30 school children were selected for this study and were divided into two equal groups and given both chewing gums for the experiment. Results: Children consuming the sugar-free (xylitol) chewing gum showed a marked increase in the pH of saliva and plaque when compared to their counterpart. All these values had a significant difference of P ≤ 0.0001. Conclusion: Xylitol is a safe all-natural sweetener which helps to reduce tooth decay. It plays a unique role in preventive strategies for better health. 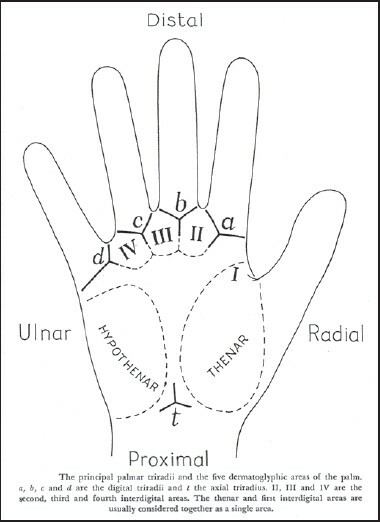 Context: Dermatoglyphic is the permanent imprint found in hands. Variations of dermatoglyphic patterns among the individuals have been noted. Aims: To find out the dermatoglyphic pattern variations in dental caries between study group and the control group. Settings and Design: A cross-sectional study was done on 300 Bengalee children of Kolkata between the age group of 4-14 years. Materials and Methods: The samples were divided into two groups; study group and control group. Dental caries were detected clinically using mouth mirror and probe in daylight. Ink was applied on palm and finger by pressure pad. Bilateral palm and finger prints were taken by placing the palm and fingers over glazed paper and applying pressure over palm. 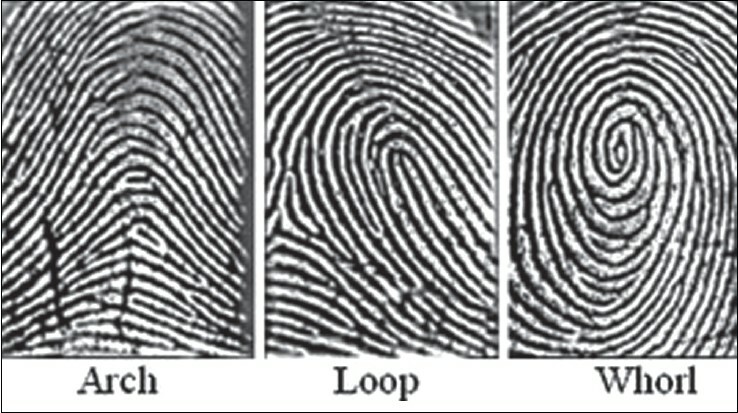 Finger and palm prints obtained were inspected by magnifying glass for the study of different dermatoglyphic parameters. Statistical analysis used: Analytical statistical method with the help of student's t-test was used to determine mean values and gender differences in the findings using SPSS version 11.0. Results: The characteristic feature which shows significant increase in caries sample group were increased total finger ridge count (TRFC) and absolute finger ridge count (AFRC) on fingers, representing pattern size and types. ab count and tr count were significantly lower in male and female caries sample group compared with the control group. Conclusions: There was a significant difference between caries and control group in different patterns and number of "tri radii on fingers" in fingers, the percentage of patterns on all palmar areas, total number of triradii on palm and main line index. Perhaps more systematic larger samples consisting of different genetic population are necessary to verify the conclusion. Purpose: To investigate the effect of Vitapex on the healing of periapical lesions and the expression of bone morphogenetic protein (BMP-2) during the periapical bone regeneration. Materials and Methods: Periapical lesions were induced in Sprague-Dawley (S-D) rats by an occlusal pulp exposure in the mandibular ﬁrst molars and were verified by X-ray. Total of 36 rats were randomly divided into three groups, and they were obturated with Zinc Oxide Eugenol (ZOE), or with Vitapex, or non-treated as negative control group. The rats of three groups were randomly killed at week 0, 2, 4, and 8 after root canal therapy, and then the mandibles were processed for histological examination and immunohistochemistry analysis. Results: At week 0, only a few BMP-2 positive cells could be observed in all rats. 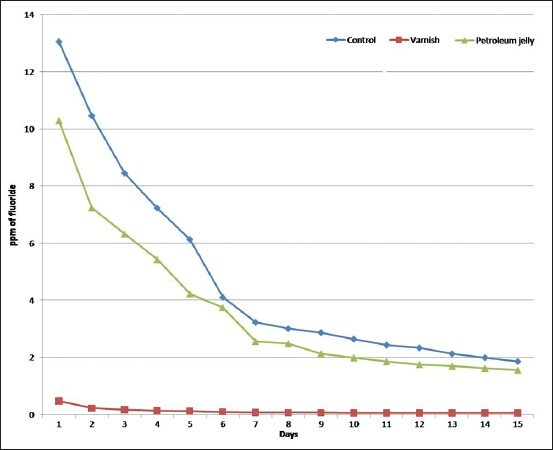 While the expression of BMP-2 was dramatically increased in case of Vitapex group at week 2 and week 4, and then climaxed at week 8. However, no apparent changes were observed in ZOE group and negative group at week 2, 4, and 8. Conclusion: These observations suggested that Vitapex has a greater ability in inducing bone regeneration than ZOE by the expression of BMP-2 induction in the treatment of rats experimental periapical lesions. Background: Variations in morphology of root canals in primary teeth usually leads to complications during and after endodontic therapy. To improve the success in endodontics, a thorough knowledge of the root canal morphology is essential. Aim: The aim of this study was to assess the variation in number and morphology of the root canals of primary incisors and molars and to study the applicability of cone beam computerized tomography (CBCT) in assessing the same. Settings and Design: A total of 60 primary molars and incisors with full root length were collected and various parameters such as the number of roots, number of canals, diameter of root canal at cementoenamel junction and middle-third, length and angulations of roots of primary molars and incisors were studied using CBCT. Statistical analysis used: The observations were put to descriptive statistics to find out the frequency, mean, standard deviation and range for all four subgroups. Further, unpaired t-test was used to compare these parameters between subgroups and analysis of variance test was implemented to evaluate the parameters within the subgroups. Results and Conclusion: The CBCT showed the presence of bifurcation of root canal at middle third in 13% of mandibular incisors while 20% of mandibular molars had two canals in distal root. The diameter of distobuccal root canal of maxillary molars and mesiolingual canal of mandibular molars was found to be minimum. CBCT is a relatively new and effective technology, which provides an auxiliary imaging modality to supplement conventional radiography for assessing the variation in root canal morphology of primary teeth. Background: Dermatoglyphics are considered as a window of congenital abnormalities and is known to be one of the best available diagnostic tools in genetic disorders. Objective: The present study was conducted to observe and compare the differences in the dermatoglyphic patterns between cleft lip/palate (CL/P) and normal healthy children and evaluate their associated dental findings. Setting: This is a cross-sectional prevalence study in which dermatoglyphic patterns and dental anomalies of 90 (CL/P) and normal healthy children aged 0-15 years were recorded under standard conditions of seating and lighting. Materials and Methods: Dermatoglyphic traits were recorded using ink stamp pad method. Dental findings were recorded through clinical and radiographic examination. Results: The most frequently seen dermatoglyphic trait in the study and control group was loops followed by whorls and arches. A highly significant (P < 0.001) difference between loops in the study and control group and statistically significant difference in the whorls (P = 0.001) were found using Student's t-test. The comparison of dental anomalies was accomplished using Chi-square test and hypodontia (50%) was seen maximum in cleft patients. Conclusion: Any deviation in dermatoglyphics features indicates a genetic etiology. 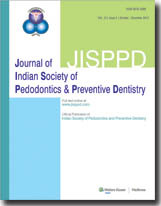 Objective: To determine the pattern and extent of stainless steel crown (SSC) reuse following try-in and the methods employed for their decontamination among Indian pediatric dentists. Study Design: Questionnaires were delivered personally to 100 pediatric dentists selected randomly across India. Questionnaire was divided into three subsections. The first section assessed demographics to determine the sample population characteristics. The second section dealt with the pattern of SSCs use and reuse following size determination. The third section inquired into general cross infection control procedures including cleaning, sterilization, and training to assess the general level of compliance. Data analysis involved descriptive analysis using SPSS 16.0 software. Results: The majority of respondents (98.92%) routinely reused the crowns after they had been tried in the patient. Only one respondent (1.08%) discarded the crowns after try-in. Autoclave (25%) was the most common method employed for the decontamination of tried-in SSCs among the respondents. Conclusion: The majority of the participating pediatric dentists are reusing SSCs following try-in during crown selection. However, great diversity exists in the methods employed for the decontamination of the same. This demands for more research to provide guidelines into the most effective method of decontamination. Background: Relation between secretory immunoglobulin A (SigA) and dental caries still imprecise. Studies have been conducted either for total SIgA or mutans specific SIgA with bizarre results. Aim: The aim of this study is to find out the relationship between mutans antigen specific SIgA and total salivary SIgA and its influence in caries status in children. Materials and Methods: A total of 45 children aged between 6-14 years were divided based on their caries index (decayed, missing, filled, extracted tooth) score in high moderate and no caries group and their saliva were analyzed with enzyme linked immunosorbent assay for total SIgA and mutans specific SIgA. Results: High caries group showed high mutans specific SIgA, but less total SIgA, whereas low caries group showed the reverse. Conclusion: The mutans specific SIgA and total SIgA has a weak, but negative correlation in children potentiating caries inhibitory action of SIgA. Ameloblastic fibroma (AF) and related lesions comprise a complex group of mixed odontogenic tumors. Ameloblastic fibrodentinoma (AFD) is a rare tumor and is considered as a histological variant of AF showing inductive changes that lead to the formation of dentin. Although the most common site for this tumor is the posterior mandible, hereby we are reporting a case of AFD in the anterior maxillary region which is a very rare site for this group of tumors. 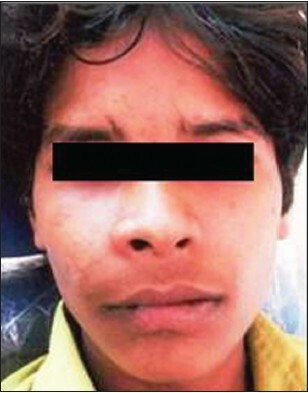 The present case report highlights the clinical, radiological and histological presentation of AFD in order to raise awareness for the earlier diagnosis and precise management of this rare pathological entity. Oral squamous papilloma is a benign proliferation of the stratified squamous epithelium, which results in a papillary or verrucous exophytic mass induced by human papilloma virus (HPV). These oral mucosa lesions are most often asymptomatic and have small progression. Laser assisted surgery is common nowadays with several advantages including successful hemostasis, devoid of sutures, wound sterilization and minimal post-operative pain and edema. The aim of this report is to present the oral squamous papilloma in a pediatric patient and its treatment with soft tissue laser. The lesion was excised with diode laser and the healing was uneventful in follow-up visit after one year. Oral squamous papillomas can be found in child's oral cavity and laser dentistry can be used by dental clinicians to treat these kinds of oral lesions and should be considered as an alternative to conventional surgery. Dental caries is one of the most prevalent conditions in humans; the purpose of restorative dentistry is to recreate the anatomy of the affected tooth thus the use of fragments from natural teeth as an effective restorative method. A maxillary first premolar left was prepared for an inverted 4/5 crown due to involvement of the vestibular face, after prepared received an allogeneic collage with similar color and dimension. Follow-up after 12 months indicated a stable restoration. 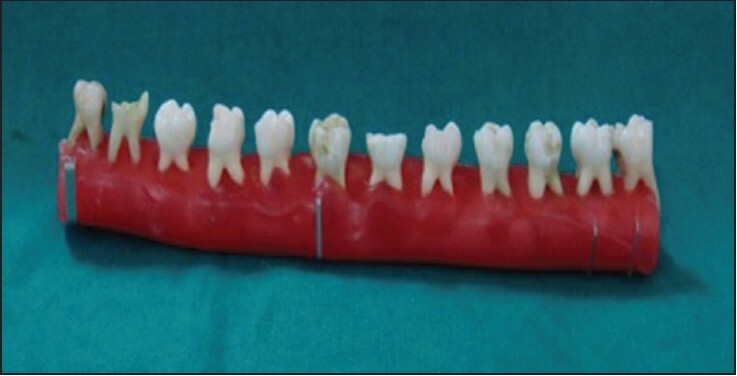 Clinically, the site was without signs of caries, migration of the fragment or marginal infiltration. Biological restoration is a viable alternative for reestablishing function and esthetics to damaged/decayed teeth and therefore, biological restoration as an alternative to other restorative options. Skeletal discrepancies in growing children can have great physical and psychological impact on their appearance. These deformities require orthopedic correction at an appropriate age to avoid future extensive management. Managing a midfacial deficiency or true mandibular prognathism is perhaps the most challenging situation for the clinician. 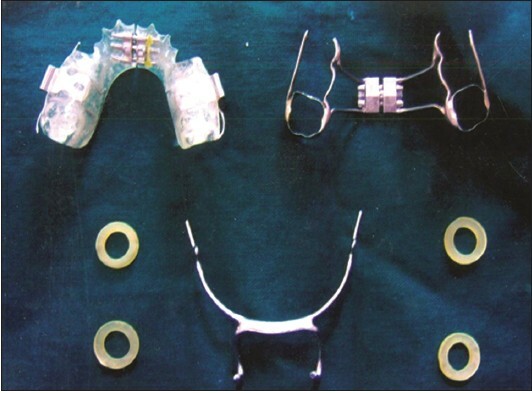 Many orthopedic appliances like chin cup, facemask, and so on have been advocated to correct class III malocclusion. The major problems with these appliances are physical appearance, skin irritation from the anchorage pads and hence, less patient compliance. We present management of class III malocclusion in two children with modified tandem appliance (MTA), which is an intraoral appliance, with no extraoral anchorage, and has better patient compliance and cooperation.